With the exception of the American flag, the POW/MIA flag is the only flag to fly over the White House and fly continually over the capitol's rotunda. It's a great way to honor our American Prisoners of War and those Missing in Action. 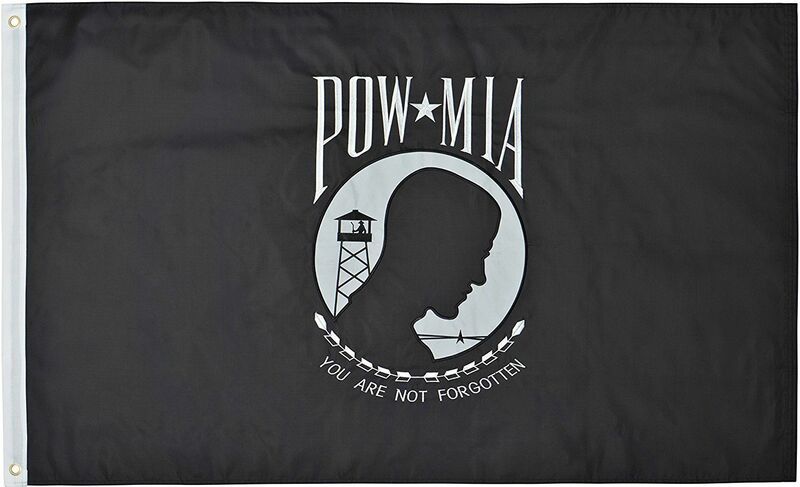 The POW-MIA flag features a silhouette of a man's head with a barbed wire fence and a watchtower in the background. 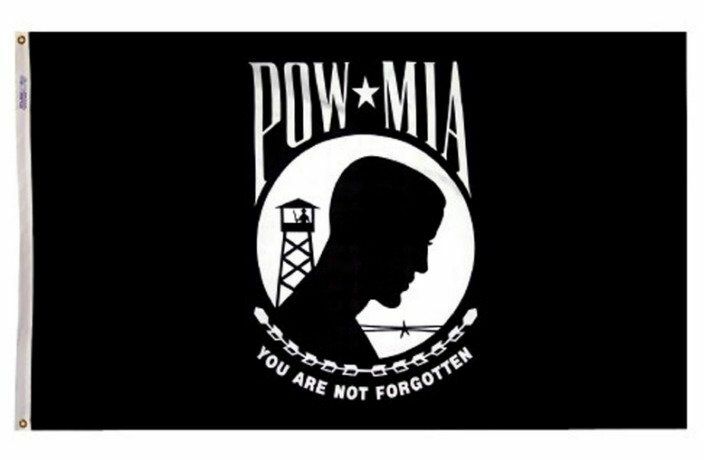 Above the design is the title "POW/MIA," while below the design is the powerful motto "You Are Not Forgotten." 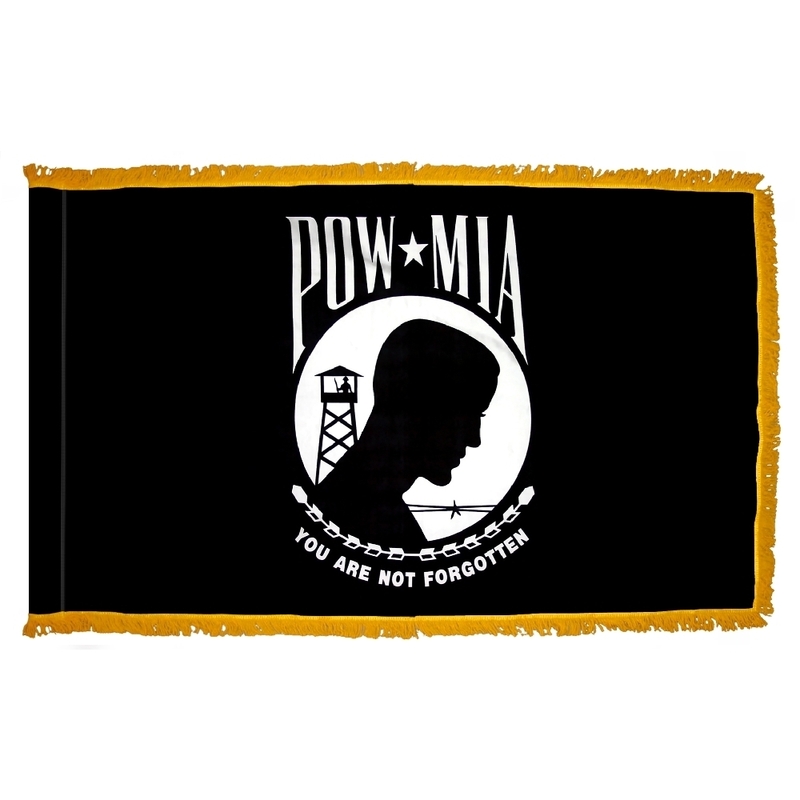 Our POW/MIA flags are a great way to honor those who were prisoners of war and those who are missing in action. We carry POW/MIA flags in several different sizes and materials.